Heat a wok or a kadhai, add the ajwai seeds and temper them, then add the onions, saute till translucent, then add the chilies and the ginger, continue to saute for a couple of mins, then add 2/3rd of the chopped tomatoes, let it reduce to a paste consistency and then add all the powdered spices along with the salt except for the garam masala. Once the spices are mixed add the shrimps, Cook till they are done and then add rest of the chopped tomatoes, and garam masala and sauté. Then serve with Chopped corriander.. 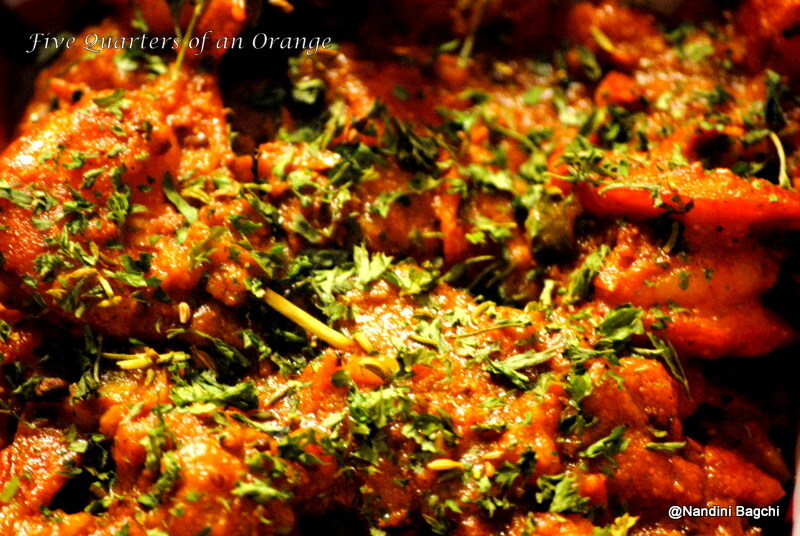 There you go, hassle free dinner under 20 mins, serve with rice or roti… I had mine with rice….. 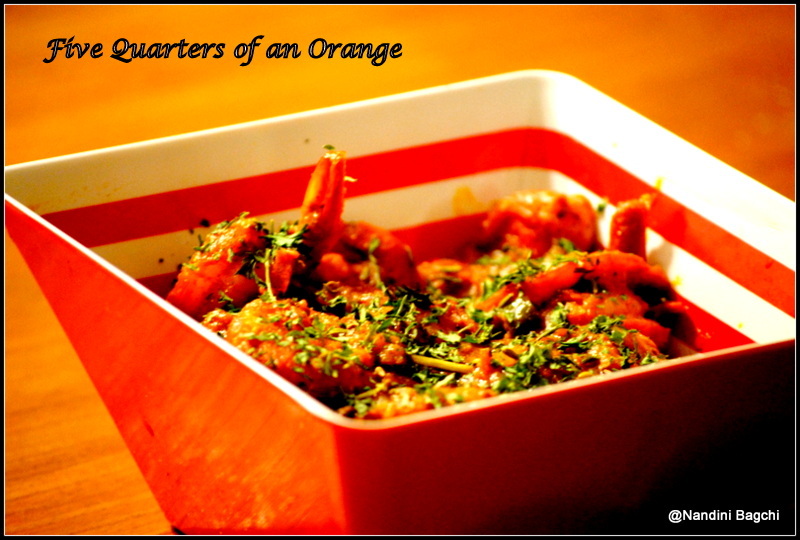 Thank God.. No Pizzas… Shrimps saved the day….. and so did Atul Kochar..